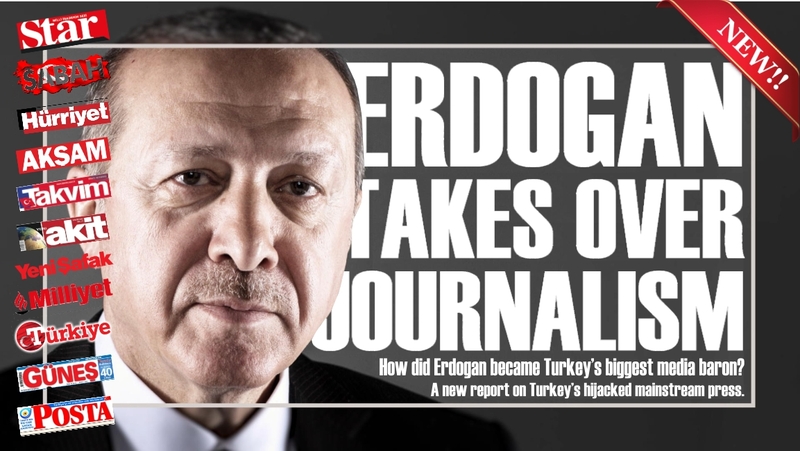 [NEW REPORT] How did Erdoğan become Turkey’s biggest media baron? Turkey has held the notorious title the leading jailer of journalists in the world for quite some time now. More than 300 journalists have ended up in pre-trial detention as part of President Recep Tayyip Erdogan’s dragnet against his critics, while thousands of others were left unemployed after their newspapers and TVs were shuttered. The monopolization of the Turkish media, however, had been in the making long before the recent crackdown. 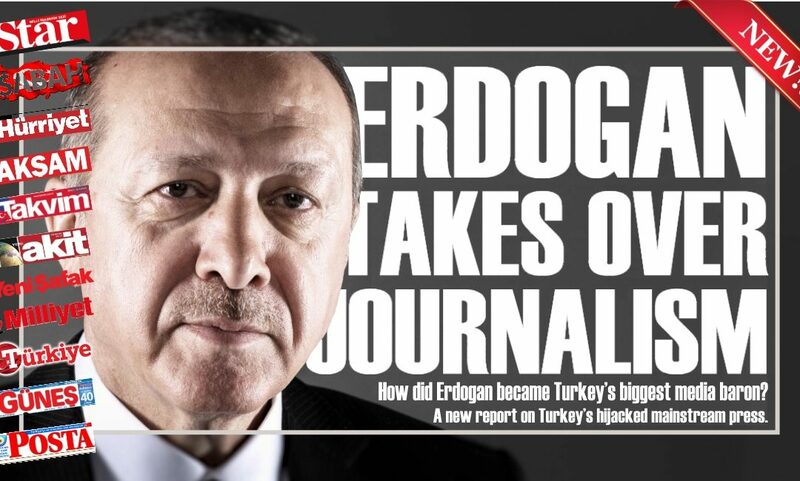 Erdogan, through controversial takeovers of critical media outlets by himself or businessmen close to him, has replaced a plethora of media tycoons only to become one himself, the largest. According to the latest circulation figures, only one critical newspaper is left in the top 10 that is not controlled by Erdogan. Cumhuriyet, once a prominent and independent newspaper, now struggles to survive internal conflicts and its plummeting circulation has barely kept it in the top 20. This report by Turkey Purge aims to provide a brief overview of how Erdogan has taken over the print media in Turkey. Though a similar pattern can be observed in other forms of the media sector, it is beyond the scope of this report.